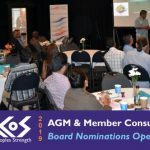 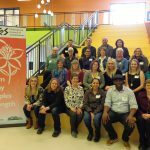 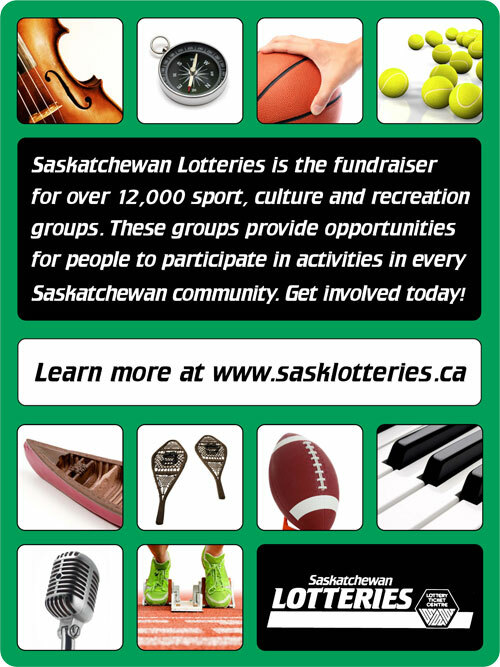 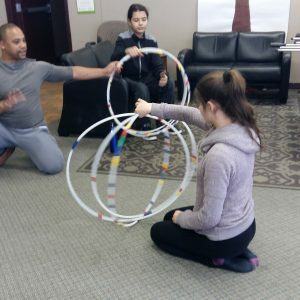 The Youth BRIDGES project is a partnership between three Regina-based organizations: Multicultural Council of Saskatchewan (MCoS), Regina Open Door Society (Settlement Workers in School and Youth Program) (RODS), and the Regina Newo Yotina Friendship Centre (NYFC). 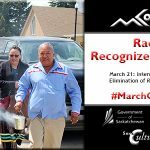 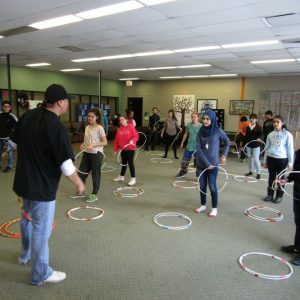 The aim of this project was to foster leadership and build relationships between newcomer and Indigenous youth. 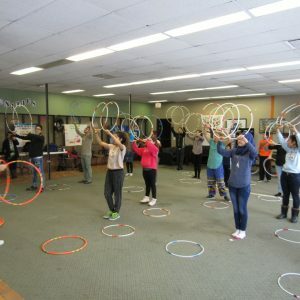 Participants range from 13 to 21 years of age. 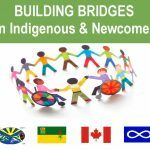 The Youth BRIDGES program began in March 2016 when these three organizations began working to bring newcomer and Indigenous youth together to learn from each other, build relationships and foster understanding. 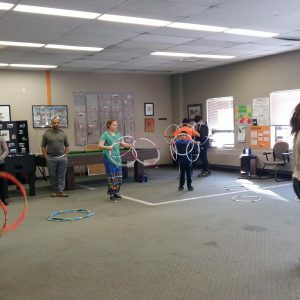 After initial programming, leaders within the group provided direction for 2017. 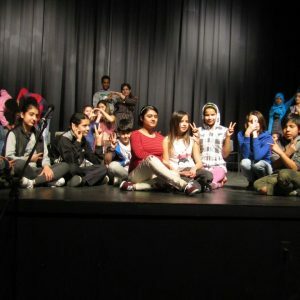 This led the partners to explore possibilities for using theatre to achieve the objectives. 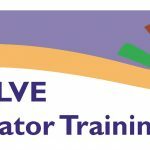 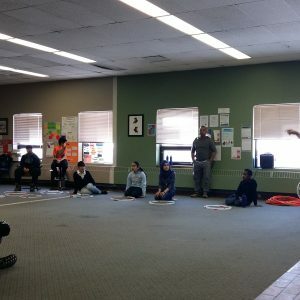 The partner organizations worked with theatre professionals to design two introductory workshops and a five-day intensive program in February 2017. 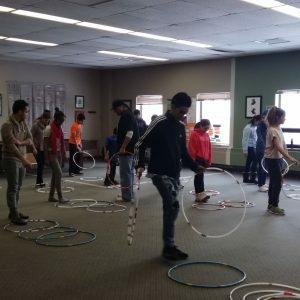 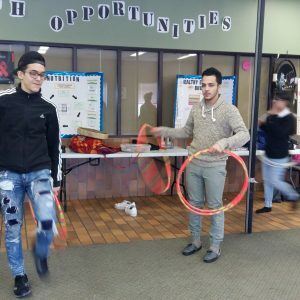 This brought together approximately 40 young people for the workshop called Building Bridges Between Indigenous and Newcomer Youth, or Youth BRIDGES. 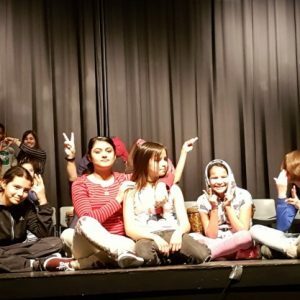 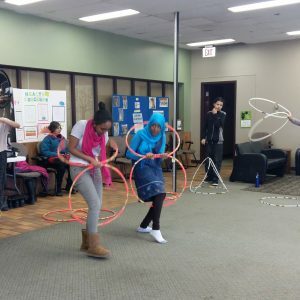 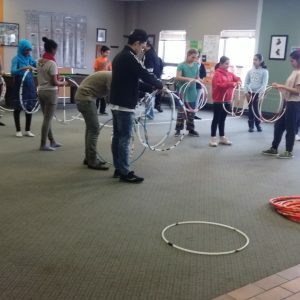 Part 1: Youth gathered at the Regina Open Door Society (RODS) with an introduction to improvisation and theatre games, and percussion instruments from around the world. 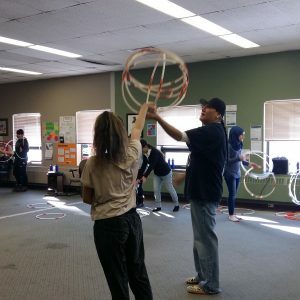 Part 2: Participants gathered at the Regina Newo Yotina Friendship Centre for a hoop dance lesson with Terrance Littletent exploring the five significant teachings: listen, see, knowledge, respect, and love. 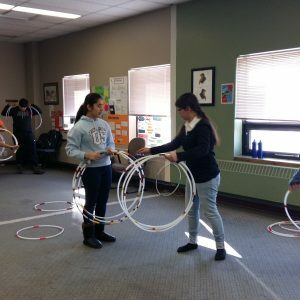 Part 3: During the February school break youth worked at Regina Open Door Society Tuesday to Friday. 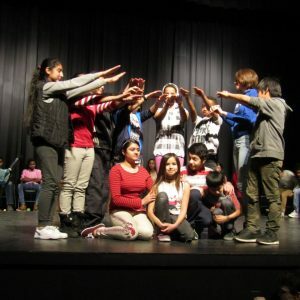 They collaboratively created a theatre performance. 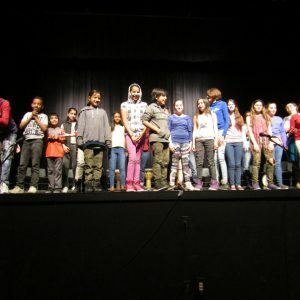 Some of the themes they worked on were dream, movement and voice. 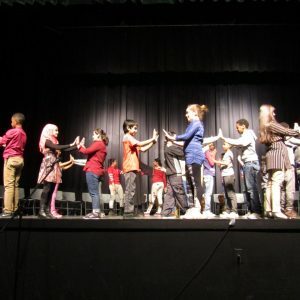 Part 4: The program was concluded by a performance on Saturday, February 25 in Campbell Collegiate’s auditorium. 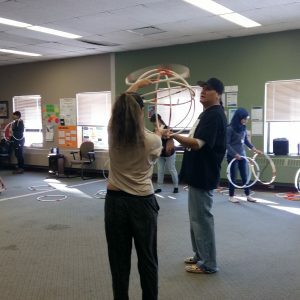 Families and friends were invited to witness the work and learning. 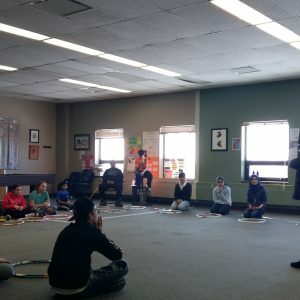 Exposure to drama, percussive instrumentation, and various dance styles (First Nations and Contemporary) through workshops and performative discourse enabled participants to share their personal stories, explore each other’s experiences, and create original work for presentation. 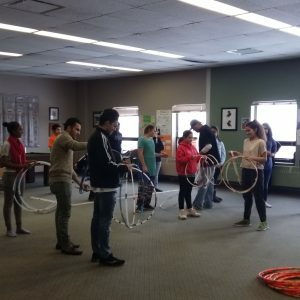 The outcome was to learn skills to express their personal narratives, learn from each other, and build intercultural connections by working together to create, develop, and perform.